In the past few months, the possibility of do-it-yourself genetic engineering has exited the realm of the purely hypothetical. At a conference last fall, a well-known biohacker injected himself with a gene to promote muscle growth. Not long after, a 27-year-old software engineer injected himself with an unproven gene therapy for HIV while streaming on Facebook. More DIY attempts at human genetic modification are sure to follow. All of these attempts fall outside the purview of U.S. regulatory oversight, since the job of agencies like the Food and Drug Administration doesn’t generally include policing what people can do to themselves. But this new reality raised the question: should it? Writing in Scientific American, the bioethicist Eleonore Pauwels considers this question. Pauwels is a science policy expert at the Wilson Center, and she has spent years closely tracking the rise of citizen bioscience. Most of citizen bioscience takes place in spaces like community labs, and the experiments tend more towards growing mushrooms and toying around with plant genetics than engineering human beings. What the future of the movement will look like, though, is less clear. Pauwels suggests that we are at a turning point. Such public displays of DIY have brought the movement out of the shadowy fringes. “We could build adaptive regulatory support that ensures safe and responsible citizen participation in health research, or we could drive these emerging communities of innovators underground or out of existence,” she argues. The path forward is not to promote radical, unregulated science, but to develop engagement channels that force citizens, patients, ethicists and regulators to rethink and design an adaptive oversight system—one that fosters empowerment and responsibility rather than just adherence to the status quo. The only way to avoid a blanket ban on all self-experiments is to engage stakeholders, and it is worth it.... I fear that without a robust structure for conducting risk assessment, self-experimentation using untested gene therapies will transfer the burden of weighing complex risk-benefit trade-offs to individuals at their own cost and peril. Pauwels is by no means alone in her thinking. 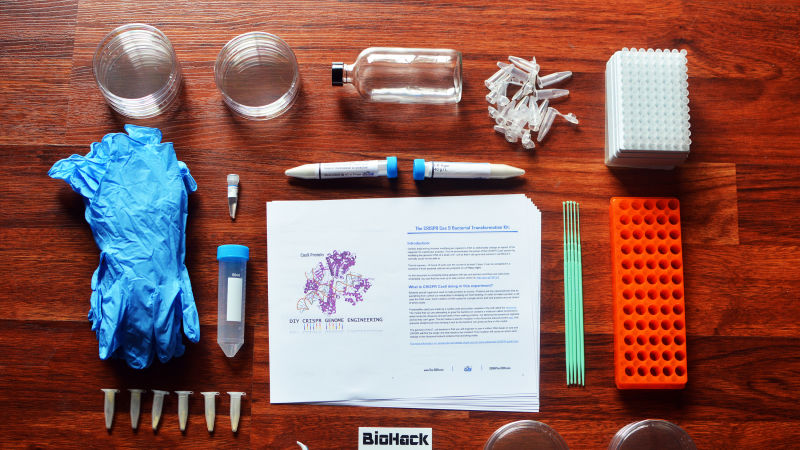 On the heels of those two public displays, in December the FDA issued a stern warning to biohackers in America. Undertaking DIY gene therapy, it warned, is ill-advised and risky, and selling the supplies to do it is flat-out against the law. Unregulated gene therapies, the thinking goes, raise safety and ethical questions even outside of whether or not a person might hurt themselves (though that’s a concern, too.) Others who understand risks of a therapy less, for example, might copy what extreme biohackers have done. A few months back, I covered the story of cancer patients trying to create their own far-fetched DIY immunotherapies. In cases like that, Pauwels rights, patients can get their hopes up. Pauwels, though, is not arguing for an end to the long-held tradition of scientific self-experimentation. She’s just arguing that now that the stakes are so high, we might need to think about ways to make science that happens in informal spaces a little bit more formal. That, too, she argues, is the only way to prevent regulators from trying to shut down such bold experimentation all together. She points to community bio labs, which often follow academic and industrial lab safety protocol even though they are not bound by it.